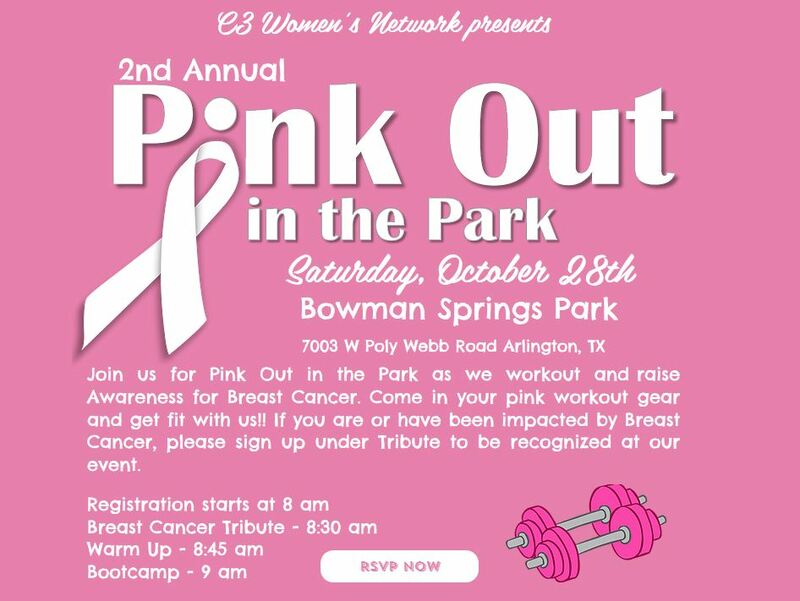 Join us for Pink Out in the Park as we workout and raise Awareness for Breast Cancer. Come in your pink workout gear and get fit with us!! If you are or have been impacted by Breast Cancer, please sign up under Tribute to be recognized at our event. We will have local vendors, healthy snacks, and a Kids Zone! Yours truly, is the Workout Bootcamp Instructor so I’m officially inviting you to come burn some fat with me! Click “Get Tickets” to officially register!